Students, looking to get involved? Many student clubs and organizations hold general interest meetings on a regular basis. Check Bengal Connect for more details. Here’s a look at some of what’s happening this week on campus. Tuesday, February 12, 12:30 p.m. to 1:30 p.m.
Tuesday, February 12, 7:00 p.m. to 11:00 p.m.
Join the Gaming Group for an evening of Dungeons and Dragons. Dungeons and Dragons is an event for individuals to come and play a table-top game that has been around and re-modified for years. Different campaigns and groups will be available for people to join and watch. Wednesday, February 13, 8:00 p.m. to 11:00 p.m.
Join United Students Government for an evening of bingo. Great prizes will be available, as well as a number of games. Thursday, February 14, 12:15 p.m. to 1:30 p.m.
Would you like to learn more about the European Union (EU)? 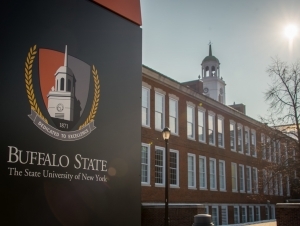 This is an information session about joining Buffalo State's delegation to the SUNY Model European Union (SUNYMEU). The event takes place April 4-6, 2019, at the SUNY Global Center in New York City. We will discuss the event, program fees, and answer questions. All majors are welcome. There are roles for both undergraduate and graduate students. Thursday, February 14, 6:30 p.m. to 8:30 p.m.
Join Tha Ink Club, Phi Sigma Chi, and Social Fellowship Council (Groove Phi Groove and Swing Phi Swing Social Fellowship) for “Be My Sweetheart.” At the event, students will have a chance to ask Greeks and non-Greeks about relationships. Buffalo State soprano Holly Bewlay and pianist Karen Schmid will present “Love Through the Year.” Tickets are $10. Students with ID can receive free tickets from the Rockwell Hall Box Office. 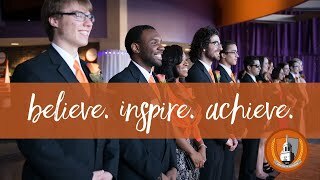 call (716) 878-6401 or visit http://music.buffalostate.edu. Friday, February 15, 6:00 p.m. to 8:00 p.m.
Join Best Buddies for a Valentine’s Day Party. There will be music, pizza, candy, games, and more. Soul/R&B singer Avery Sunshine and saxophonist Elan Trotman will perform as part of the M&T Bank Great Performers Series. Tickets are $55 for premium seats (rows C-G), $45 for the lower tier, $40 for the upper tier, $37 for seniors, and $15 for students one hour prior to the performance. For tickets, call (716) 878-3005 or go online.